On Thursday evening April 18th, Americus Lodge members and Past Masters Gary Jensen and Claude Roswurm were honored for their 50 and 60 years of service, respectively. From the Grand Lodge, R:.W:. Deputy Grand Master Michael Halleran presided over the auspicious event assisted by W:. Alex Rosell, Asst. Grand Tyler and R:.W:. Bob Talbott, Grand Junior Deacon. In attendance were the honorees, family members as well as W:. M:. Wayne Lee and other members of Americus #109. Unable to attend was Americus Lodge brother and honoree Lee Lowder Jr. who also earned a 60 year honor. 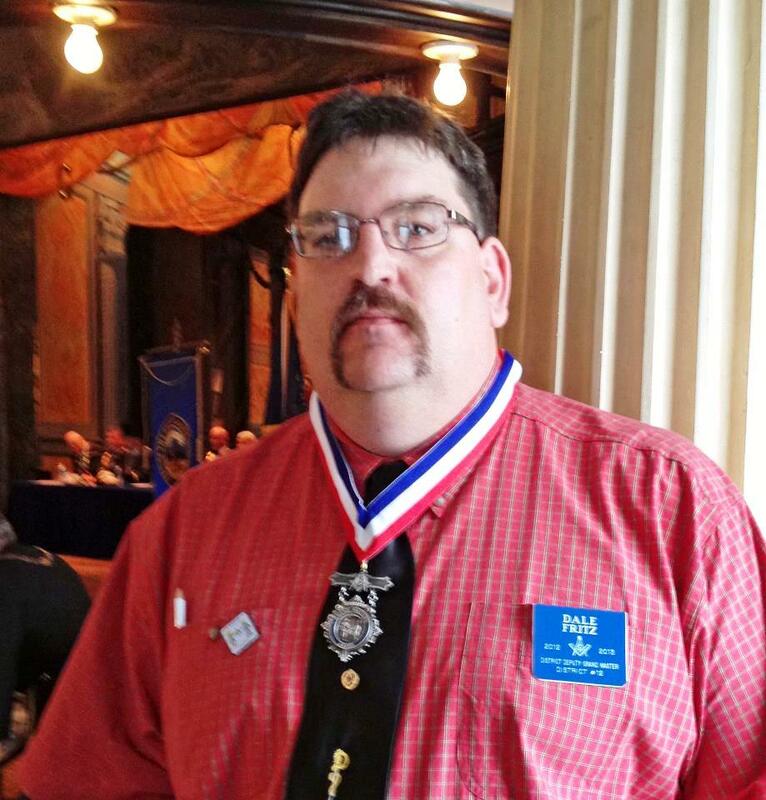 Right Worshipful Brother Dale Fritz, District Deputy Grand Master from the 12th District, received two great honors this past weekend at the 157th Annual Communication. Brother Fritz was awarded the very prestigious Grand Masters Award as a tribute for his work with his Lodge, Community and Masonic Fraternity with distinction and devotion over and above the ordinary. This award is the highest that a Kansas Mason may be honored with and demonstrates the respect, admiration and appreciation of fellow national, state and local lodge members. More specifically Brother Dale has been involved with the KS Chips program since its inception in 2009 by M:. W:. 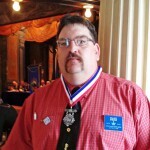 Sterling Hornbuckle, PGM. His active promotion and participation has seen this program become what it is today and started it on the path towards becoming a budgeted Grand Lodge Program. R:.W:. Brother Fritz was also honored with this award for his great works as a District Deputy Grand Master, his work with the South East Kansas Masonic Unity Group and many other activities. Fritz was also honored for his placement on a working committee for Masonichip International. Fritz was responsible for finding a more reliable DNA swab for Child ID kits at a very affordable price that will soon be used in DNA kits all across the nation. His continuing efforts on this great project have put the Grand Lodge of Kansas on the map as a leading group within the Chips program. M:. W:. Donald Newman, Jr. revised an earlier order that implemented the requirement for electronic verification of all petitions with a new Edict released in December 2012. The new Edict makes optional the electronic verification for membership transfers between lodges in Kansas and petitions for plural membership in another Kansas lodge. This move transfers the responsibility of “know your petitioner” from the electronic verification back to the signers of the petition and the investigating committee. The intent of the original March 2012 Edict remains the same: To augment the ability of the investigating committee to ascertain the veracity of the petitioner’s characterization of himself. While many lodges train their investigating committees to exercise due diligence in performing their duties, many others, sadly, either do not perform their duty or the nature of our highly mobile society makes it hard to know really know the stranger that desires admission. Transfers and plural members should be a better known petitioner, therefore, the new Edict. Grand Senior Warden Michael Halleran has been named editor in chief of the Journal of the Masonic Society according to a statement published on the Masonic Society website. Halleran will replace founding editor Christopher Hodapp who is retiring. In the announcement, the president of the Masonic Society, John R. “Bo” Cline, PGM (Alaska 2009), said that Hodapp “has been dealing with some rather significant health issues over the past few years. Despite this fact, he has endeavored to publish what many consider the best journal in Freemasonry today. Recently, Chris informed us that he is unable to continue as Editor-in-Chief, however he will remain involved with the Journal to the extent his health will allow.” Cline also noted that Bro. John Bridegroom, an Illinois graphic designer, has been brought on as layout editor. An inter-jurisdictional research lodge, the Masonic Society publishes an academic-style journal every quarter. Membership in the Masonic Society is restricted to regular Freemasons. Assistant Grand Tyler B. Cole Presley will be appointed Grand Senior Deacon for 2013 -14. 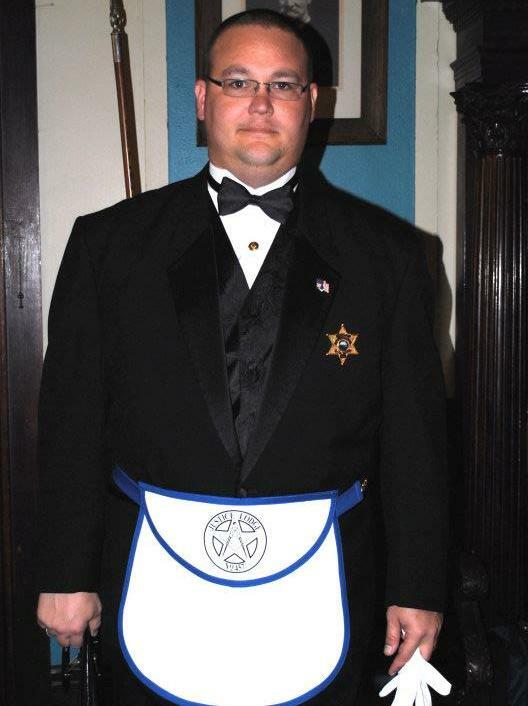 Deputy Grand Master Rick Reichert announced the appointment at the November 16 meeting of Justice Lodge in Hays. Citing Presley’s experience and hard work as current Area Deputy Grand Master of Area 10, past District Deputy, and Past Master of Millbrook Lodge No. 281, Hill City. Reichert described his selection process and expressed confidence is choosing the right man for the job. Among his many Masonic responsibilities, Presley is a member of the Millbrook Chapter No. 108, OES, Isis Shrine, and is currently Senior Warden of Justice Lodge No. 457. The Grand Senior Deacon is traditionally elected Grand Master of Kansas. If elected by the Craft, Presley will be Grand Master in 2017-18. Limited parking for the Grand Lodge Leadership Academy is available in the Grand Lodge lot. Street parking is also available on all four sides of the Capitol complex. Street parking is free on weekends. Parking in other lots (other than GL lot) may get you towed! The Grand Lodge building will open at 8.00 a.m. with coffee and pastries. The Capitol building opens at 9.00 a.m. The entrance to the Capitol building is on the East side. The program starts promptly at 9.15 a.m.
Grand Lodge wants to hear from you! There are two Town Hall meetings planned in the near future and all are invited to attend to listen to what is planned, ask questions and provide input. 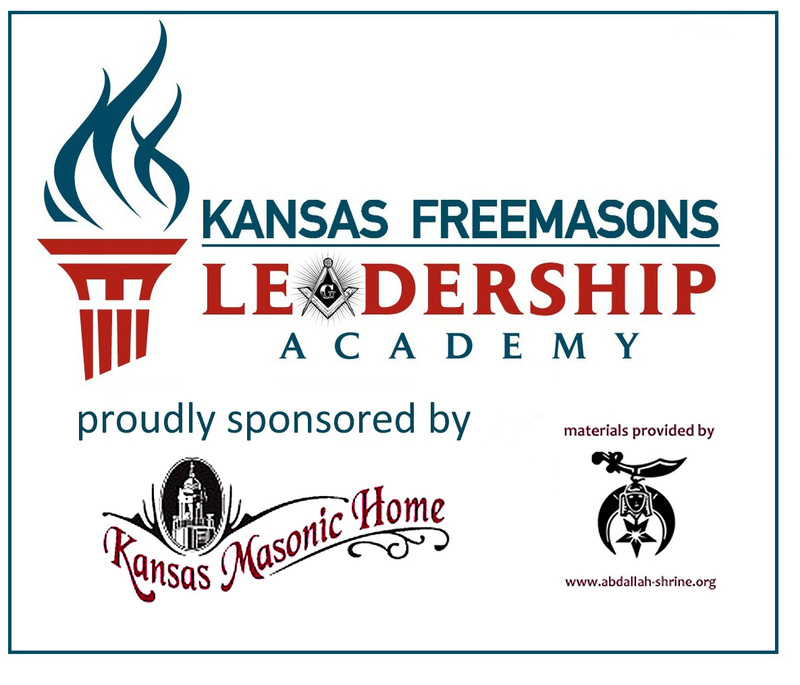 Information will range from integrating your lodge into the Grand Lodge strategic plan, current programs and resources, the rapidly changing demography of Masonry in Kansas and the potential need to adjust districts again, and much more. Secretaries that have questions about the new database or the upcoming annual report are especially encouraged to attend, and there will be a separate breakout for them. The next planned meetings are Saturday, October 13 in Emporia, and Saturday, October 20 in Scott City. Mark the dates now, and contact the Grand Lodge office for more details. The Grand Lodge office has received a variety of questions about motorcycle tags. While the statute that allowed for our tags does not include authority for motorcycle plates, IF there is enough expressed interest, we will return to the Legislature this winter and ask for expanded authority; so, if you would be interested in plates for a cycle, let that be known to the Grand Lodge office, also through plates@kansasmason.org. Those who currently have handicap plates, and who want a Masonic plate, will have to return to a rear-view mirror card handicap permit, there is no provision for a combined Masonic-handicap plate. Due to the explosion of special-interest plates, and the needs of law enforcement to quickly identify vehicles, there will not be a sequential numbers of plates, each will be numbered with a combination of several numbers and letters, and no reservation of any one possible. With negotiations being finalized with the Kansas Department of Revenue for the Kansas Mason License Plate, many minor details are still being worked out. One critical item is that the Grand Lodge needs to show an interest of at least 500 Masons who would be eligible to purchase these plates. Kansas Masons who would like to purchase a plate after January 1,2013 are asked to notify the Grand Lodge office (785) 234-5518 that they would like a plate. This can be done by emailing plates@kansasmason.org or calling the Grand Lodge office and have your name added to the list. The legislation requires that the Grand Lodge provide a written consent form for the member requesting the plate. This pre-order list will allow the Grand Lodge office to arrange for that letter ahead of time. Kansas Mason License Plates will only cost an additional $25 in addition to the State and County Taxes and Fees. The Funding received by the Grand Lodge will be split between the Grand Lodge Library and Kansas Freemasons Charities Inc. The Grand Lodge is pleased to announce that Kansas Masonic Home will be sponsoring the second annual Grand Lodge Leadership Academy to be held this year on October 6 at the Kansas Statehouse, and that Abdallah Shrine will provide the course material to all attendees. Partnerships like these will help ensure that Grand Lodge events deliver the most bang for the buck, said Grand Senior Warden Michael Halleran. According to Halleran, since 2011, however, things have changed. “I think the Masons who attended last year’s Academy will testify to the fact that it was a huge jump in quality. We had a big name speaker, and the event was very well organized in an impressive venue. It will be even better this year,” he said. Halleran noted that the entire Grand Lodge line is actively supporting the success of programs like the Leadership Academy – with the elected officers taking on planning roles. Robert Roswurm, the Director of Development at the Kansas Masonic Home was equally positive. “This partnership makes sense for Kansas Masonic Home,” he said. Michael Tavares, Potentate of Abdallah Shriners was also upbeat about the chance to pitch in and make the event successful. The Leadership Academy, formerly known as the Warden’s School, has traditionally been the responsibility of the Deputy Grand Master. According to Rick Reichert, Deputy Grand Master for 2012, the emphasis on quality hasn’t been the only change that’s been made. 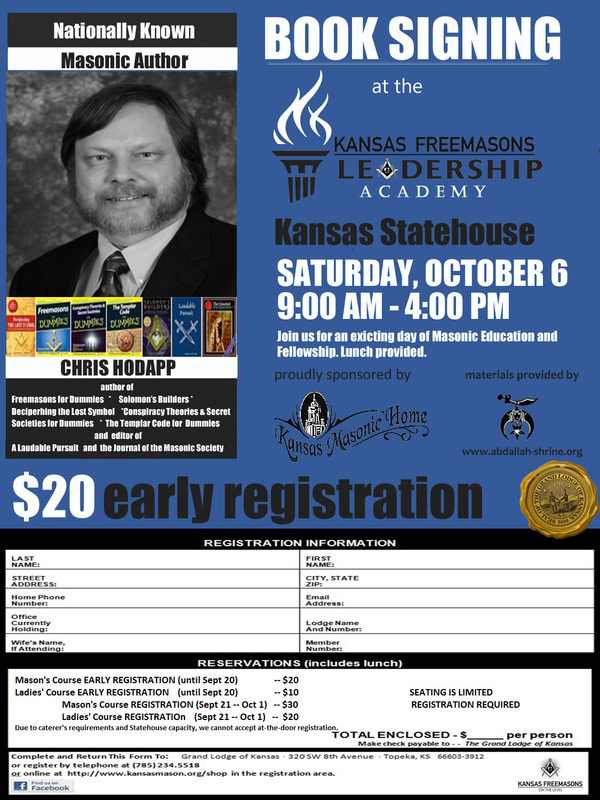 This year’s Leadership Academy is slated for Saturday, October 6 at the Kansas Statehouse and features renowned Masonic author Chris Hodapp as the keynote speaker. The registration form is included below and will appear in the next issue of the Kansas Mason.